Once your translation files are complete, follow the steps below to download them to your computer. Locate the file from the My Files page that you need to download. Click the file's name to open the file level actions menu. 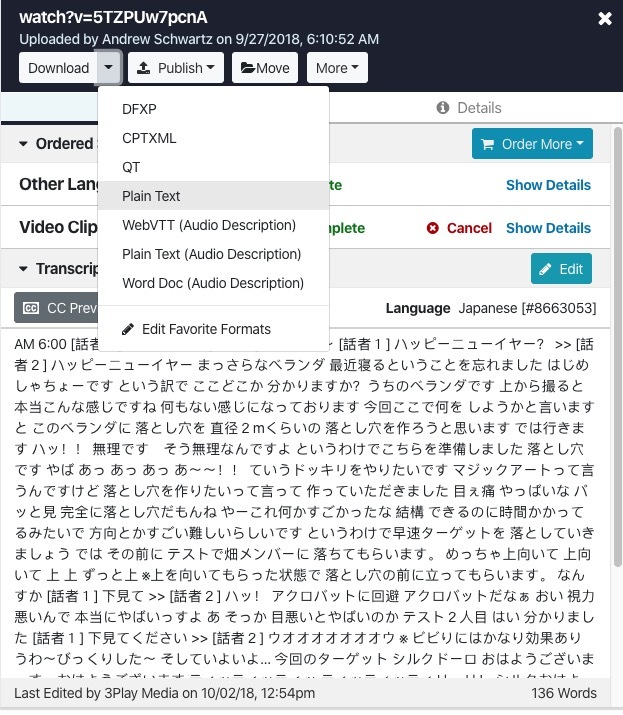 By default English will display as the language on the file show page. .
To view the translations associated with this file click on English and the languages that this file has been translated into will display. 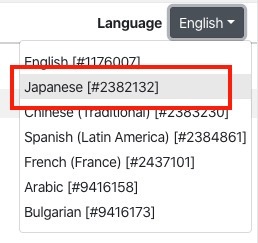 Select the language and the translation will display. Please note that the time for the translation to appear may vary depending on the duration of the file and the language that was selected to display. 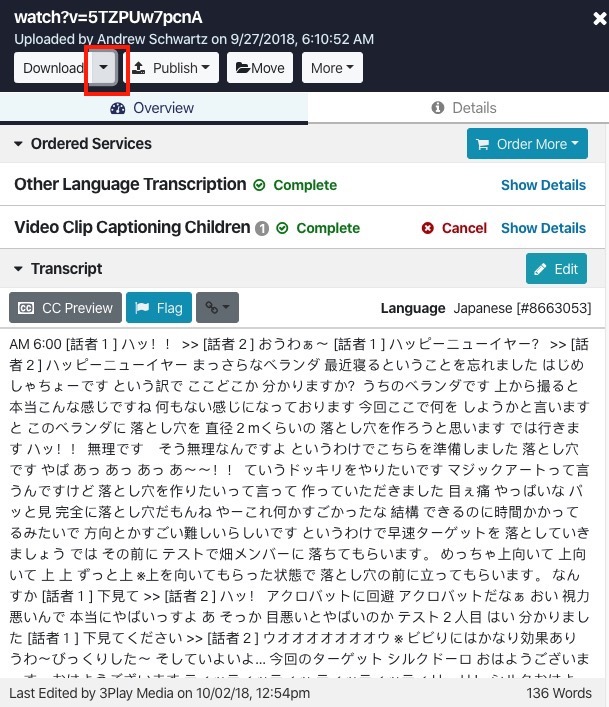 Click the Quick Download icon located above the text of your translation. From the drop down menu that appears click a Favorite Format and the translation will immediately download to your computer in the format selected. Click +Add Favorite Formats from the drop down menu should your 3Play Media project not have any Favorite Formats configured yet.